I hope you all had a nice relaxing weekend! My son is soon celebrating his 2nd birthday. I’m actually working on Balloon party details right now! August is a busy month for me. Oh, Motherhood, Ooh, Motherhood! Anyway, what do you guys think about my dress?? Isn’t this dress so pretty? Many people saw me wearing this thought this was a vintage dress. Fashion is all about representing your personality. Mine’s is one of a kind! I love wearing modern clothes and also vintage-inspired looks. SHABBY APPLE has so many great options for me to do just that! This dress is very flattering! The fabric has just the right amount of thickness, amazing quality and style for the price. You can also get this dress in blue (HERE). 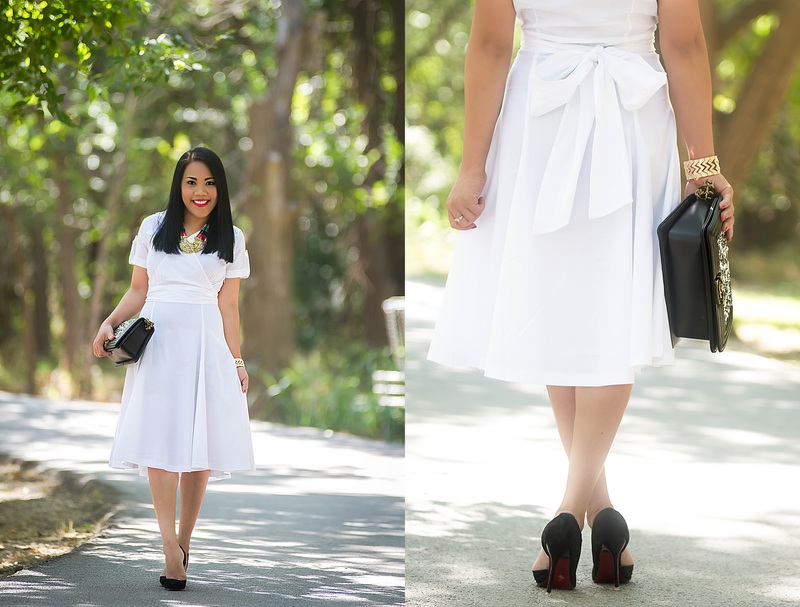 Shabby Apple’s Bonheur white dress allows for a dressed up look without all the fuss. My favorite white dress thus far! Shop Shabby Apple ? and find the best selection of fashion dresses, tops, skirts, accessories, swimwear, and more! You can also follow them on Instagram at @shabbyapple for more fashion inspo! Thank you for stopping by, have a wonderful day! Happy Early birthday to you boy!!! I’m in love with this white dress. You look so classy and fierce. Your details are always my faves. P.S Tell Joshua, Happppy happy birthday!! Love him too pieces! Aaaw Len!,You look like an angel! So clean and chic! The fit of the dress is perfect and the length is a win! Ohh my days! This dress is beautiful!! I am excited to hear about your sons second birthday if you share any details! Love birthday parties!! Happy second birthday to your beautiful boy! How exciting for you and your family! You look fabulous in white! This is a great dress, I love the cut and it has a fun and funky vintage feel to it. Love it! Hi Len! you look SO fabulous! SO chic and feminine look! That dress is amazing and the bag too!!!!! LOVE your Instagram feed! You are such an amazing blogger and momma! What an inspiration! ??? Such a lovely dress and the model! you look gorgeous darling! Keep up the beautiful photos! Que luxo esse look estar com tudo tenha uma semana abençoada. You look so lovely in this white dress! Shabby Apple has so many great pieces! Oh I love this dress! The all white fabric is the best. Great statement piece too. Have a fantastic week! You are really hot and beautfiul women! The white you feel great with the tone of your skin and your hair !! The necklace is beautiful, a hug. Sooo lovely. This Outfit look so pretty on you. I love it. Love this look, it’s so classy and chic! Now this is how you accessorize. The dress is so minimal and you styled it well! Happy happy birthday to your son and I’m sure he had a blast! 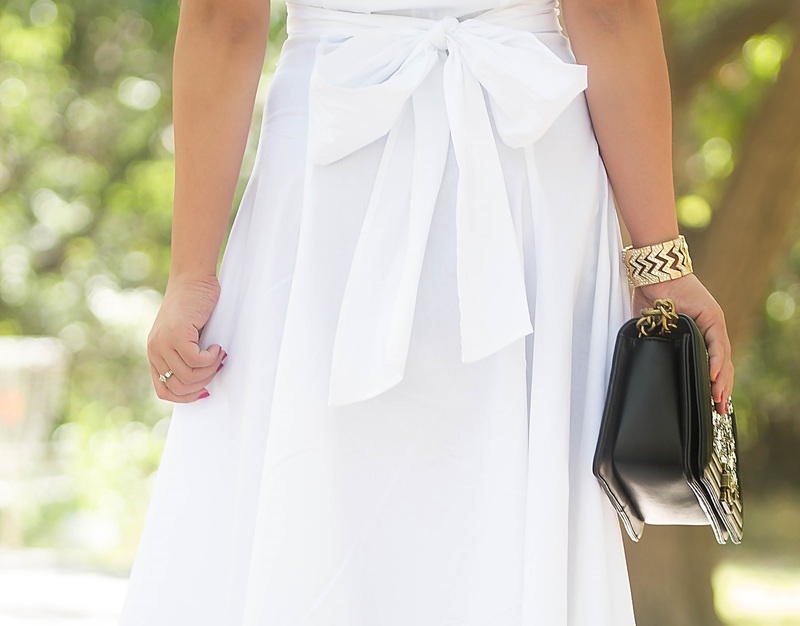 Your white dress should be in my closet too! <3 You look amazing ! Such a beautiful white dress indeed!! You look so great! I would’ve thought that was a vintage dress too. I also really like your necklace with it – the colors and the style update the look.